Last year we premiered a family-based sacraments program—because here at St. Joan of Arc, we passionately believe that parents are the first and best teachers of faith for their children, and that God’s love is experienced most profoundly in the family. We believe our job is not just to minister to children or teens, but to minister to the whole family. As we help parents draw closer to Christ, we are helping their children draw closer to Christ. With that in mind, we are expanding our family-based program, now called FAMILIES OF FAITH, to include ALL families with children in grades K-3 (but both older and younger children in the family are welcome to attend as well!). Instead of dropping your child off for weekly classes, parents and children together will gather twice a month for dynamic and interactive faith formation for the whole family. As we pray together, read Scripture together, learn together and have fun together with our parish family, your family will grow closer to God who loves you immeasurably, and make faith part of your everyday life. Each year will have a new theme and new topics to learn, so yes—your family can attend year after year and keep learning new things! See our Faith Formation tri-fold brochure for more details. As for our other programs— ROCK, BLAST, EDGE and LIGHT are all still the same! It is such a blessing to work with the children, teens and families of our parish. And we are committed to the parents of these older children as well! It can be hard to find time in our crazy-busy schedules to nourish our own faith, when we are so committed to our kids. We hope you will consider volunteering in your child’s program, so you can grow together in faith at the same time! The Prayer of St. Francis says, “it is in giving that we receive,” and after doing this for several decades, I can promise that as you give to our amazing young people, you will get more than you give, and that your own faith will grow. And please don’t think, “but I don’t know how to teach . . .” Truly, our volunteers are not teachers—they are facilitators, simply listening to kids and engaging them in faith conversations. Our program directors do the teaching, all you need to do is love kids! And we provide excellent training so you will feel confident sharing faith with young people. You can volunteer for our weekly programs on the registration page. What if you don’t feel called to volunteer, but want to nourish your own faith, but still have a crazy-busy life? Well, what if we offered a gathering for parents while your children are participating in our programs? We are doing just that again this year! So while ROCK, BLAST, EDGE and LIGHT are happening, at the same time we will be offering Bible study for parents—why not use that 90 minutes to grow in faith yourself? See the “how we can help you” section for more information! Parental Permission and Health Authorization form: this is the health information form we need filled out each year. Don’t forget to sign the back! “How You Can Help Us:” Our programs don’t work without an army of dedicated folks like YOU who love God and love our children and teens! You can sign up to be a weekly volunteer on the registration page—simply place an “X” in the column of the program you want to volunteer with. But if you don’t have time to give to us weekly, please consider volunteering on an as-needed basis, and you can do that on this page! We look forward to journeying in faith together with you and your children next year! Blessings to you and your family on behalf of our entire Faith Formation team! Back by special request! 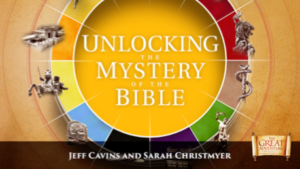 This study makes the complex simple and helps you uncover the story woven throughout Scripture so that you can get the “big picture” of the Bible and understand what it is all about. The Bible is a story about the Father’s unfailing love for you . As Catholics, the Mass is the center of our Faith. We celebrate it every day. We know all the responses. We know all the gestures. But do we know what it all means? 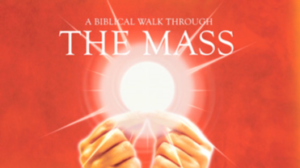 This intriguing look at the Mass is sure to renew your faith and deepen your devotion to the Eucharist. As needed for various parish activities – I can’t commit to a certain schedule but feel free to contact me. Leading children in grades K-5 in discussions on the Sunday readings at the 9:00 AM or 10:30 AM Mass. Materials and training will be provided. Choose 1 of the times below to come meet our Youth Ministry Team, be informed about our programs, and get the calendar for the year.